I love me a good succulent, don’t you? I think people often make the mistake of dismissing succulents (and cacti) for being boring and ugly plants. And they’re really not! Okay, some of them are a little like the rough end of a pineapple – quite literally. But there are so many different varieties and a huge range of colours and textures and shapes! I will freely admit that I have too many cacti and succulents. But I love them all so very much. So I decided to just get some more! And since my post about building your own terrarium went down so well, I thought I would write one on how to go about planting succulents for an outdoor setting. 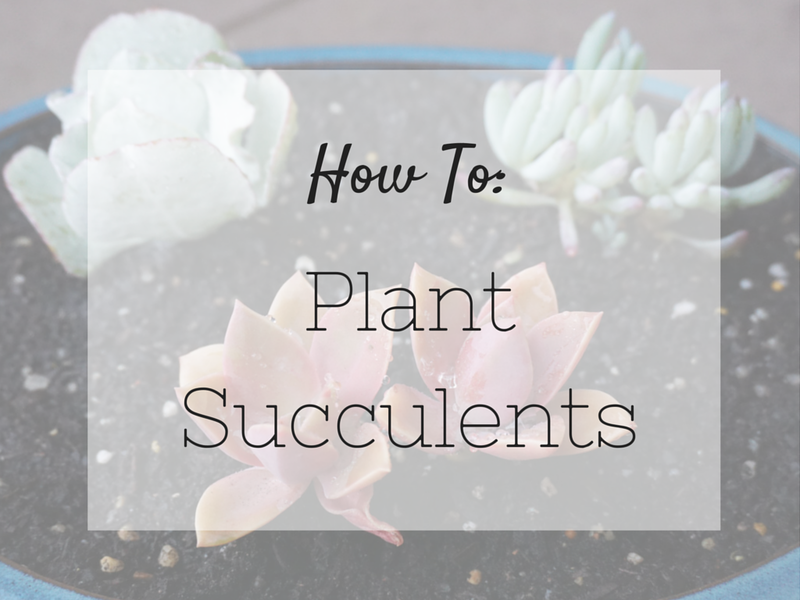 There are a couple of important things you’ll need in order to make your own succulent collection. Cacti & succulent potting mix. I grab mine from Bunnings. Stones, rocks, and/or pebbles. Any will do, really. I had mine just lying around the garden but I do believe you can buy some from Bunnings. A nice planter. This one was from Pots Galore and cost me $10.00 – bargain! Some pretty succulents. I picked these ones from Pots Galore as well in a 3 for $15 deal. Once you’ve got all that, you’re ready to go! 1. 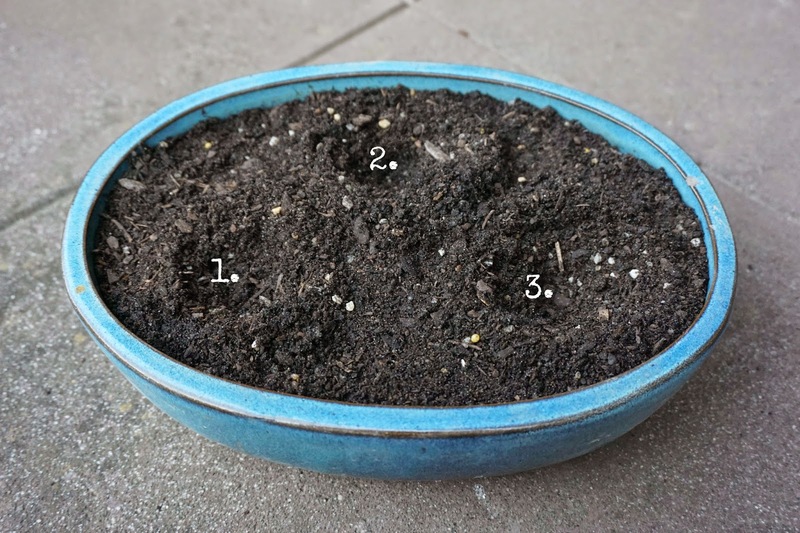 First, place a loose layer of stones in the planter. This is to help filter the water out – succulents tend not to like to keep their feet wet so they need the water to sift through and not sit at the bottom of the planter. You don’t have to cover every inch of the bottom, just enough so the water can drip through with ease. 2. Add the potting mix on top of the stones. I usually leave a gap roughly 1cm from the top of the soil to the very top edge of the planter. Once that’s done, mark the spaces where you’d like to put your succulents. 3. Time to get those succulents out of their old pots and into their new home! Dig around the sides of the pots and squeeze them to help get the succulents to wriggle out. 4. Once they’re out, pop them into their new space and pat some potting mix nice and snug around the base of the plant so as to help keep them in place. Repeat those last two steps until you’ve planted all your succulents then give your plants a good water to help them settle into their new home. Voilá! That’s about as easy as it gets – pretty straightforward, huh? So what are you waiting for?! Head on down to your local big green shed or find a nice little independent nursery and get yo’ supplies! Do you love succulents and cacti as much as I do? Jacquie is a 20-something maker and writer from Melbourne. She enjoys eating virtually anything that is labelled salted caramel and, contrary to popular belief, has forgotten how to ride a bike. She feels ambivalent about writing in the third person but thought it might be fun. It was. Succulents are so pretty! Adam (my fiancé) and I made terrariums. His succulent is now flowering over the rim of the vase. He might need to replant! So helpful! niow i know how easy it is i may give it a shot! How very clever! This makes me think I could even start to colour my thumb green. Yay! This is exactly what I hoped this post might do for someone! I do hope you give it a go – it's definitely worth it. Thanks for stopping by, Aimee! I saw a similar post on Karen's blog and plan to replant some neglected succulents into a lovely new pot like this. Inspired! I'm a homebody who loves nothing more than curling up with a blanket, a book, and a cuppa (preferably with some bed socks too). When I eventually leave the house, you'll probably catch me op shopping, tending to my cacti collection, or singing along to the Mary Poppins soundtrack in the car. Share book reviews and ratings with Jacquie, and even join a book club on Goodreads. All photos are my own unless stated otherwise. Please ask for permission before using my images and/or content and please link back to this blog if you decide to share something from it. Be nice, yo! Email me or message me via Instagram or Facebook.